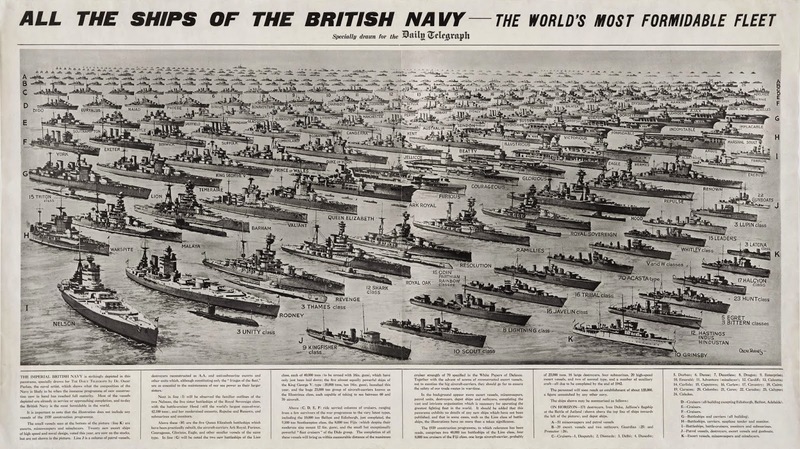 In the following images they are depicted the most important classes of warships which were in service with the Royal Navy in World War I, all the vessels that were in service with Royal Navy in both World Wars and those were lost during these great wars. More posts will follow for your collection of current naval fleets but also of fleets from the past. Click to enlarge and save the image to view the details - Royal Navy vessels in World War II. High resolution here. Image by Oscar Parkes for Daily Telegraph. They are included two of the Lion class battleships that never completed. Also notice two of the five King George V class battleships with the old names (Jellicoe, later Anson and Beatty, later Howe). Ships that their construction started after 1939 are not included such as the battleship HMS Vanguard. 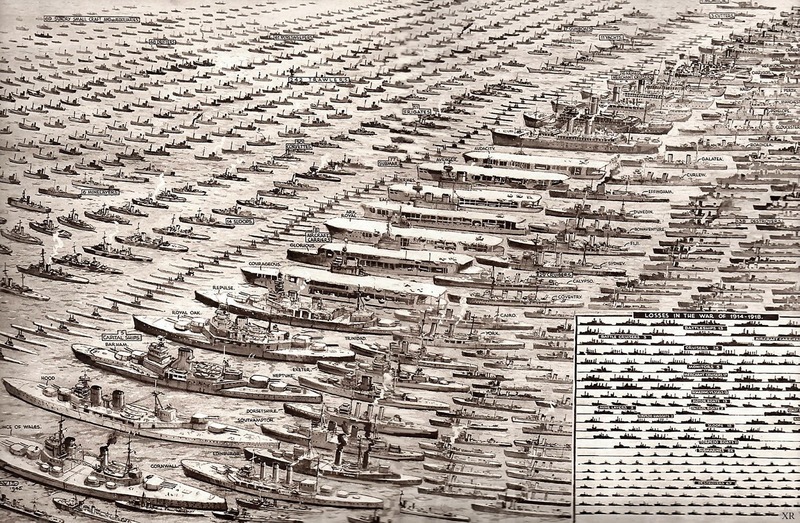 Click to enlarge and save the image to view the details - Royal Navy vessels that were lost in both World Wars. The image in high resolution here. Click to enlarge and save the image to view the details - Royal Navy in WWI. Click to enlarge and save the image to view the details - Royal Navy in WWII. Very nice. Thanks for posting these. You're welcome. I am glad you find them interesting, more such images will follow!